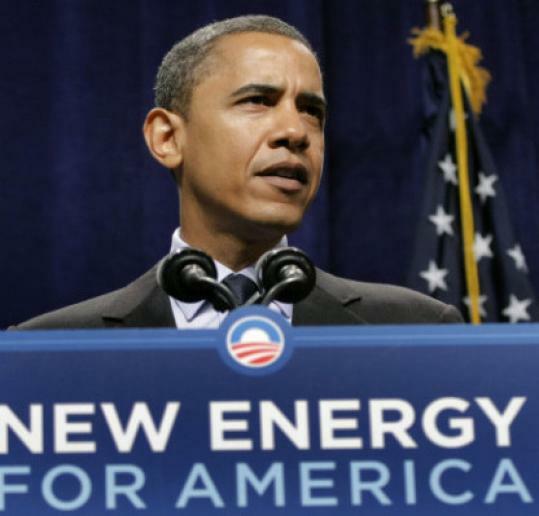 WattHead - Energy News and Commentary: Obama: "No single issue is as fundamental to our future as energy"
Let's not forget that the "Big Three" would already be bankrupt if it wasn't for government assistance. Also, it's not like the new standards are going to start tomorrow - yes, politicians may be stupid, but not reckless. So the companies will have plenty of time to develop new models to meet the new criteria. Finally, it also depends quite a bit on the type of legislation: for instance, in the EU the emission standards are set collectively across the portfolio, so that a company can still sell some prolific polluters as long as it sells enough of the "greener" cars to offset. What I think is behind this idea for stricter emissions is that once you have a lineup of models with some that are really low on emissions, and others that are just the type of guzzlers seen until today, it would quickly become socially unacceptable - except in Texas - to drive that SUV. About time, if you ask me.